WristScan - Wrist Scan Session 13th / 14th of October: Free theme. It starts now! Wrist Scan Session 13th / 14th of October: Free theme. It starts now! 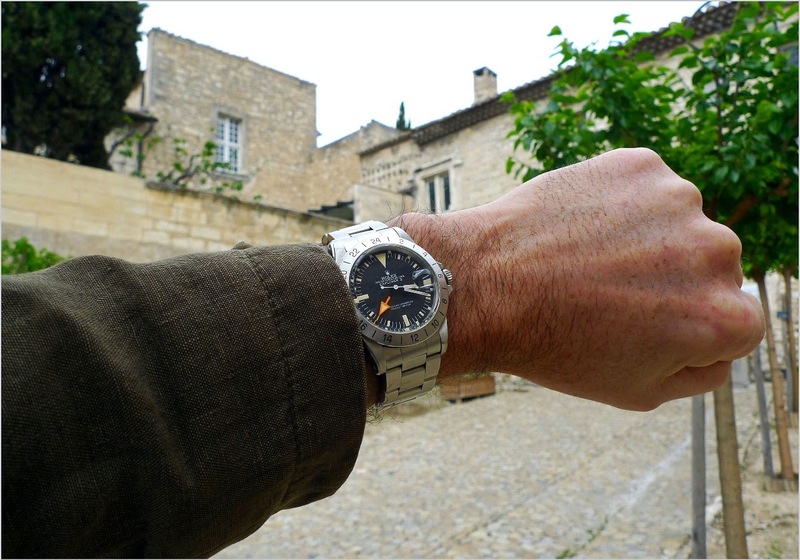 For me, since the last week end, and for the rest of the week, it is and will be my Rolex Explorer II 1655. Its big 24 hours orange hand and its unusual dial give me a lot of pleasure. A watch I didn't wear for a while but which is stuck on my wrist, now. My Speedy under autumn sun!! That's really a very nice vintage of an explorer. I saw it up close recently in a cousin's wrist. Lots of charm. He may offer it to me for sale. It's his dad's, and his dad is my godfather. Sadly he has moved on, a nice man. Best wishes Nico. 😅 Geross. This Crosshair Tudor looks to be in superb condition !.. Very nice piece !.. Best !! Rolex on Rolex, taken just now at the office for this thread...Have a great day! 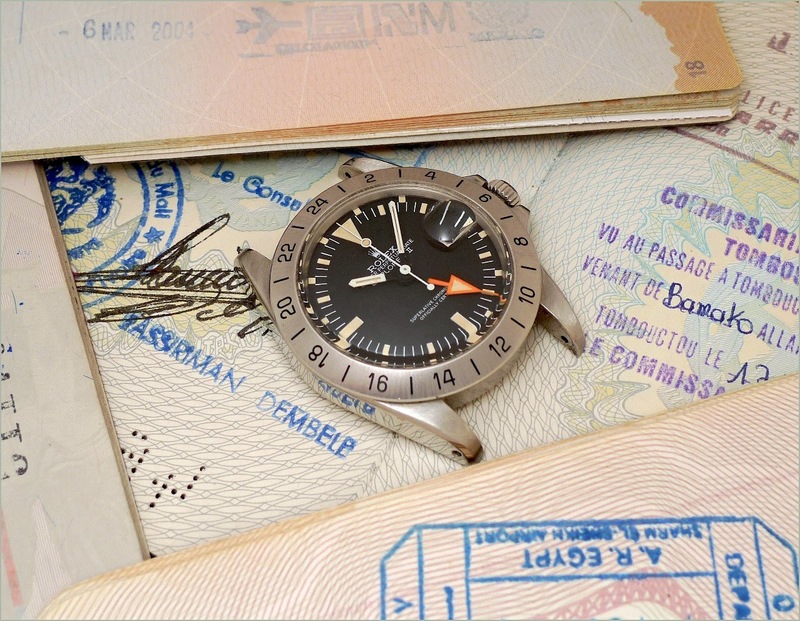 This week on my wrist and one of my all time favorites: the 1953 Breitling Co-Pilot AVI ref. 765 „Digital“. such strength,such character, such patina, and such a terrific condition it is in!! I shot that while out on a morning bike ride. Great choice of a very nice specimen !.. Simply love that special Railmaster dial ! Well, you replaced them a true classic! The lume is gorgeous. this is one of my favorite 'reissues' in recent memory. Someday, I hope to one one. No need for envy, dear HS, you have a truly stunning collection, so you can find something matching. The Mimo is very special. Very very charming. There were certainly some wonderful watches before the brand "Manned up" and got gihugeic. Nice line-up, Abel !.. Have a great vacation trip !.. BTW: Guess, I‘d take the Sub/ Meters first + the 2998.. Know, you might have maany candidates ! Best to you & yours ! Thank yiu dear friend HS for your kind comments and good wishes!! I have owned it since 2016..
interesting and a great photo. and speaking of "track", dangerous photo!!! 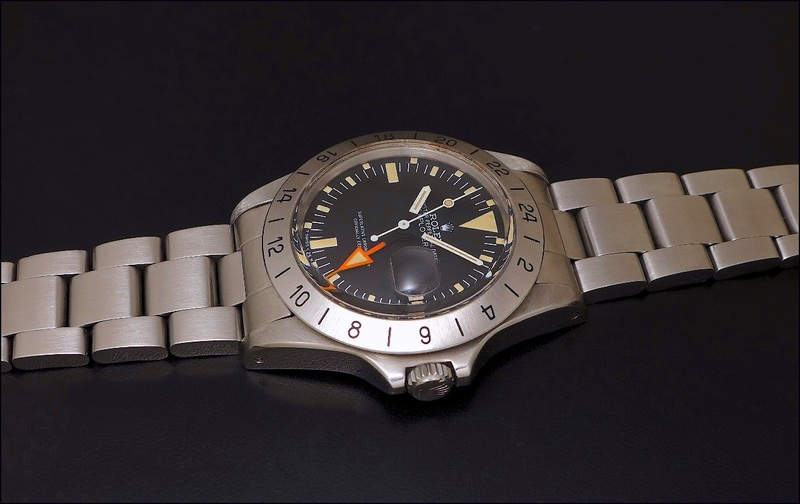 Why Rolex came up with the dial config but it is attractive in its own ways. Cheers! Lovely day here in Ventura County, j . . .
Best wishes to Pops, Tim . . . Remember my good luck Omega, Nicolas? . . . It was accidental, h - I pulled the 5-ball out of the rack at random . . .
. . . but it was the right color match for the Mk II, no doubt . . .
Because its a free theme here a pic i took a few weeks ago . What a stunning watch and great picture! But as there are trees on the lower wharf, i am thinking thats typical for Utrecht ???? New add...... in the wrist scan concept!!!!! The 62MAS re-edition already 2 years with me!!!!! All lights green and good to go into winter storage, but with this everlasting summer my Aquatimer is still here to play. Is that a 565? Incredible! Superb! What a charming and classy timepiece!! Well, let me see what to chip-in to play this week..
Wow! Dear friend HS! What a selection for this free themed qeek end!! I'll never let it go, that will be my son's decision. But I might also buy a "body double" for actual diving and sketchy situations. Great Sub. Terrific photo of it. And welcome to PuristS! Looks like you will be a great addition to the Forum! When did you take it ? Why Cpt? Am I too late to submit? are my love. I have tried those top of the line avant garde titanium regulators, the Scubapro and Atomic are exceptional and awesome, yet somehow I always fell the connection with my Black Pearl. The Tribute to Polaris 1965 gives me the same feeling.